At Montana Fly Company, we realize that those who nip from a flask don't necessarily have to do so with your standard metallic look. 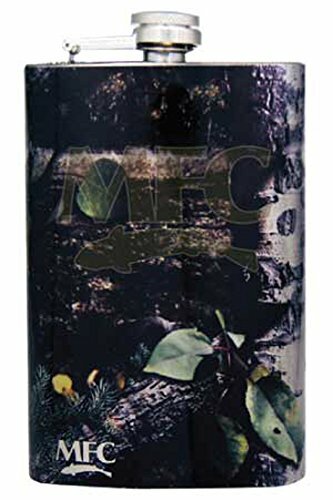 MFC's Hip Flask is manufactured using laser welding technology and our digital imaging process to deliver a stylish Stainless Steel flask that will stand out anywhere you bring it. Bringing new meaning to the word "hip" in hip flask.